Janesville, Wisconsin is a small city of some 60,000 people located in the south-central region of the state, about 15 minutes north of the Illinois state line, and the county seat of Rock County. It’s also my hometown, for better or worse. Founded in 1835 by a wandering pioneer who apparently enjoyed naming towns after himself, Janesville got its big break in 1919 when General Motors came to town, establishing a long-term presence of relatively high-paying blue collar jobs which the city has relied upon for decades of economic prosperity. Even throughout the latter portion of the 20th century and into the 21st century, Janesville has grown tremendously in spite of other corporation towns which went bust as the corporations left. Janesville’s neighbor to the south, Beloit, was one of these towns and has had a rockier road than Janesville, as manufacturing facilities left and right closed down leaving abandoned shells in their wake. During the middle of the 20th century, Beloit and Janesville were the same size and had roughly the same economic prosperity; but, as Beloit’s fortunes went away while Janesville had continued corporate investment by General Motors, peaking in the 1970s, Beloit’s growth stagnated while Janesville has more than doubled in size and as a result has become the dominant commercial center in the county. For now, that is. The retail scene in Janesville and Beloit has always been heavily influenced by competition from neighboring larger cities, even Beloit, and this was further reinforced with the addition of the interstate highway system during the 1960s onward. 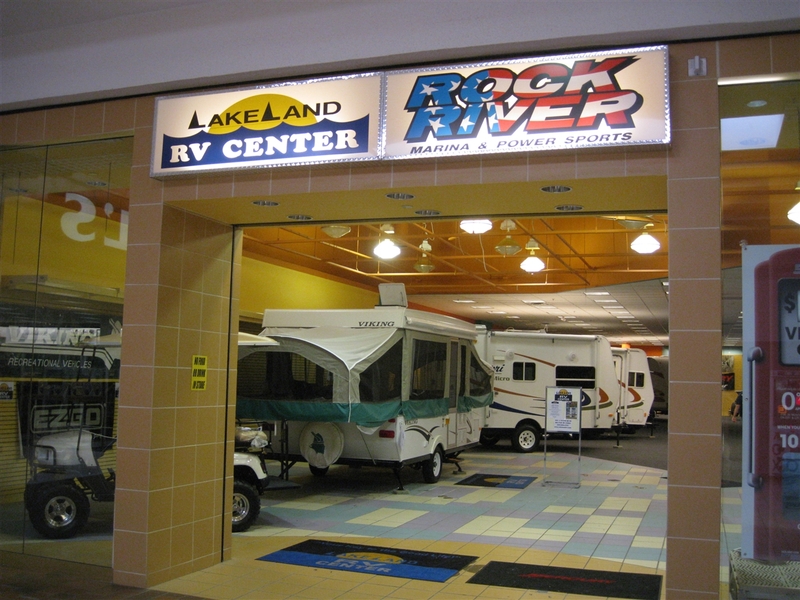 Both Madison and Rockford are about 30 miles from Janesville, and are both easily accessible via interstate. Being larger cities, both Madison and Rockford offer shopping malls and strip areas with more variety in store selection than Janesville. 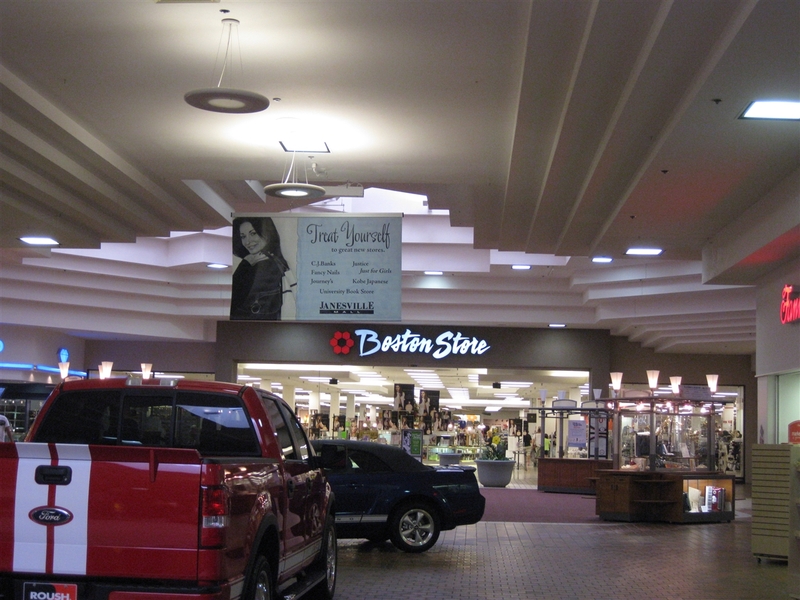 Even Beloit was a formidable retail competitor from the 1960s into the early 90s, as the Beloit Mall was considered to be on-par or even better than the Janesville Mall until it skidded downhill to failure in the late 1990s. In addition, even more shopping possibilities exist considering both Milwaukee and Chicago are less than a two-hours drive away. As such, Janesville’s retail offerings have often been called slim for a city of its size; comparable cities in their own markets such as Wausau and LaCrosse have always had more significant retail offerings than Janesville. All of the above notwithstanding, Janesville’s primary retail market still reaches about 200,000 people; but, it wasn’t until the late 1990s before they didn’t have to drive long distances to shop. For decades, the dominant retail area in Janesville was downtown. Like many other small manufacturing cities, downtown provided everything necessary for consumers, housing major chains like Kresge, Woolworth’s, JCPenney, and Sears, along with local department stores like Bostwick’s and small old-fashioned specialty stores of every kind. During the 1960s and 1970s, though, a new trend began sweeping across the country. As Janesville grew by leaps and bounds during the height of the manufacturing boom at General Motors, housing developments were constructed at an alarming pace in order to keep up with demand. Suddenly, downtown was too distant and less convenient to this new growth, and didn’t offer the variety of larger stores such as supermarkets and discount boxes which were popping up all over. Most of this new growth occurred disproportionately to the north and east of downtown, near the interstate (90) which was constructed around Janesville in the early 1960s, connecting Seattle to Boston. The first major, modern style box store to come to Janesville was K-Mart, which opened at the corner of US 14 and Hwy 26, in 1967. At the time, this location was far from the edge of town, but it was also pivotal: it was near an access point to the recently completed I-90. Developers quickly realized the growth pattern of the city was moving in this direction, and as the 1970s progressed several more stores located to the Hwy 26/US 14 corridor in between what was then the edge of town and the interstate. Janesville already had two ‘modern’ styled shopping centers which opened in the 1950s: Sunnyside Shopping Center on W. Court St/Hwy 11, and Creston Park Mall, located on Hwy 26 on what was then the edge of town. However, these small regional centers were being outmoded nationwide by large malls with huge department store anchors and many more stores, often in a climate-controlled environment functioning dually as retail center and community meeting place. Following the lead of K-Mart, Creston Park Mall, recent residential growth, and the development of the interstate, local developer Roger Benjamin sought to build a strip mall featuring midwestern discount chain Welles in 1970 somewhere in northeast Janesville. His search brought him to the Milton Ave/Hwy 26 corridor between downtown Janesville and I-90, and his decision to locate there became the catalyst for Milton Ave/Hwy 26 to become the region’s major retail strip. He selected a parcel next to a site where Montgomery Ward was already building a store and the two ventures combined, deciding to build an enclosed mall between the two proposed anchors instead of a strip mall. Around the same time, Rockford-based department store Charles V. Weise signed on to be the middle anchor, and construction began on the $10 million mall in 1971. During construction, however, a big problem arose. The parent company of Welles, the slated north anchor, abruptly went out of business in early 1973, leaving the mall high and dry only months before its slated opening. As a result, developers first approached Sears, who already operated a store in downtown Janesville, as well as one in nearby Beloit. Sears declined, citing success in both locations, so developers then approached JCPenney, who also operated a very small store in downtown Janesville. JCPenney realized the opportunity and accepted the offer, taking the north anchor, and Janesville Mall opened on schedule in September 1973. The rest of the 1970s and 1980s proved to be enormously successful for Janesville Mall and its environs. During that time, the Milton Ave/Hwy 26/Hwy 14 strip filled in with numerous fast food outlets, strip malls, restaurants and boxes as the city’s population swelled by many thousands. The large mound of dirt behind the mall, created from digging the mall’s basement, became the city’s most popular sledding hill. A large strip mall called Janesville Plaza opened directly across from the mall, and big box retailers ShopKo (1980), Farm and Fleet, Menards (1984), Copps Department Store and Wal-Mart (1989) all opened in the general vicinity. 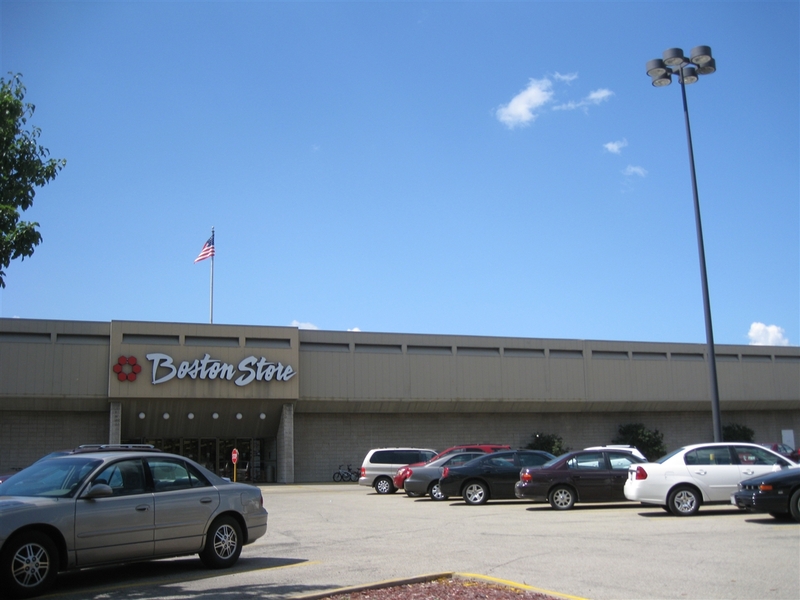 Anchor changes at Janesville Mall began in the mid-1980s, when Peoria-based Bergner’s acquired and rebranded the Weise’s division, first to Bergner-Weise and then finally Bergner’s around 1985. Also, about the same time, Montgomery Ward shut their Janesville Mall location in a round of nationwide closures, and Milwaukee-based Kohl’s, then a very small chain of department stores in southern Wisconsin, opened to fill the vacancy in one of their earliest major expansion moves. In addition, Janesville’s downtown riverfront Sears closed in 1986, setting the stage for a much-needed revival for Janesville Mall a decade later. The change in anchors from Montgomery Ward to Kohls and from Weise’s to Bergner’s also became the catalyst for a much-needed mallwide renovation in 1986. The early 1970s look was removed during a top-to-bottom revamp, replacing the mall’s flooring, removing all the fountains, and adding new benches and even live fig trees. Following the renovation, the early 90s began a tumultuous decade for Janesville Mall, beginning and ending in success with a dip of uncertainty in the middle. The 90s debuted with the reuse of the vacant Montgomery Ward Auto Center, opening as a Blockbuster Video in 1990 during that chain’s meteoric rise. I remember seeing their grand opening spotlights for many nights from my house several blocks away. In addition, an anchor shift occurred in 1992 when Bergner’s was rebranded Boston Store, in an effort to consolidate all of P.A. Bergner’s Wisconsin brands under one nameplate (They also owned Carson Pirie Scott, and are today all regional nameplates owned by Bon-Ton Inc.). The store was also remodeled during the rebranding. Meanwhile, retail elsewhere in Janesville continued to thrive during the early 1990s, as a new Target and Toys ‘R’ Us opened in 1992 along with a large strip mall adjacent to ShopKo. 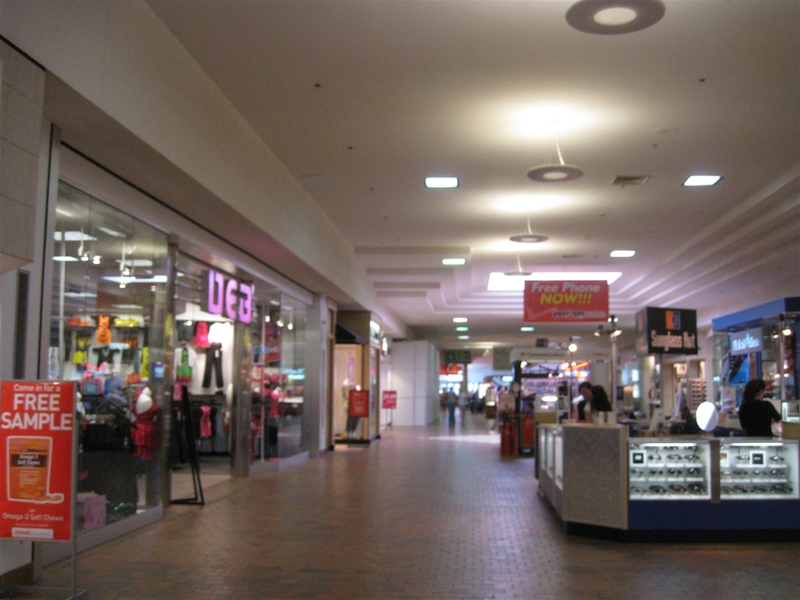 The early to mid 90s also began a shift not unique to Janesville Mall but also seen in many malls across the country, trending away from local chains and favoring national chain retailers. 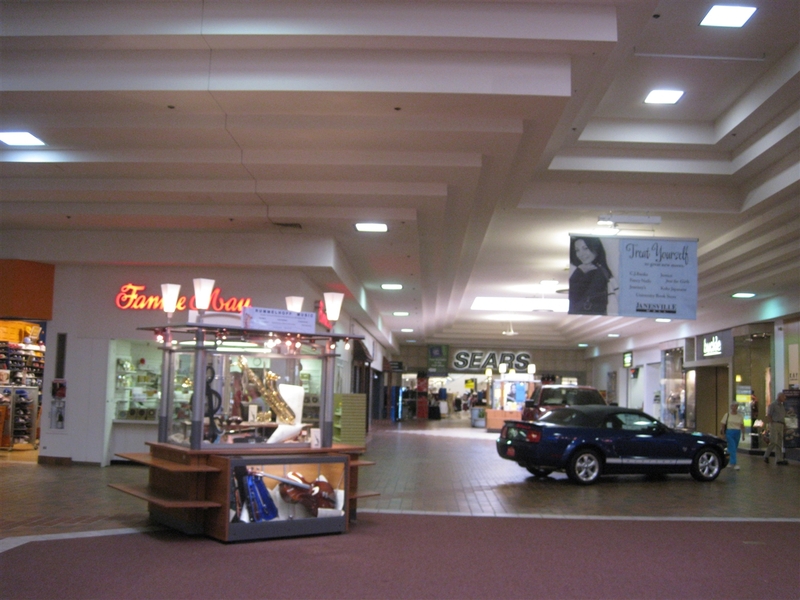 In fact, the main problem at Janesville Mall during the 1990s was the lag time between the local chains’ exit and the national chains’ entrance. There was a gap of no fewer than several years when the mall was alarmingly vacant and trouble seemed imminent. Local stores like That Boutique (women’s clothing), Baxter’s Menswear, J. Rundell’s, Hal’s, Saxer’s Sporting Goods, Bostwick’s, Mother’s Ice Cream and others disappeared, but there were relatively few national chains opening to replace them. Mall mainstay Thrift Drug, owned by JCPenney, closed in the mid 90s as well, around the same time that nameplate was retired in favor of Penney’s other brand, Eckerd drug. A few exceptions were clothing retailers Clothestime, Merry Go Round, and County Seat, which opened during this period, but for the most part stores either remained vacant or were a revolving door of failed ventures like the short-lived Cinnabon, which appeared in 1993-94, only to close almost immediately to be replaced by a local Pizza-by-the-slice joint which was equally short-lived. I recall visiting the mall frequently during this period (1992-1995) and noting many vacancies until about 1995-96, when things slowly, and then dramatically, shifted back to a period of success for Janesville Mall, which has lasted until the present. After a period of low turnover and high vacancies, fortunes began to change at Janesville Mall with the arrival of a few very popular national chains. In 1995 and 1996, Software Etc. (now GameStop), Wilson’s Leather, Bath and Body Works, Finish Line and GNC arrived and got the ball rolling on a trend to attract chains which heretofore would have required a visit to either Madison’s or Rockford’s malls, a trip local residents were resigned to make given the meager local offerings. 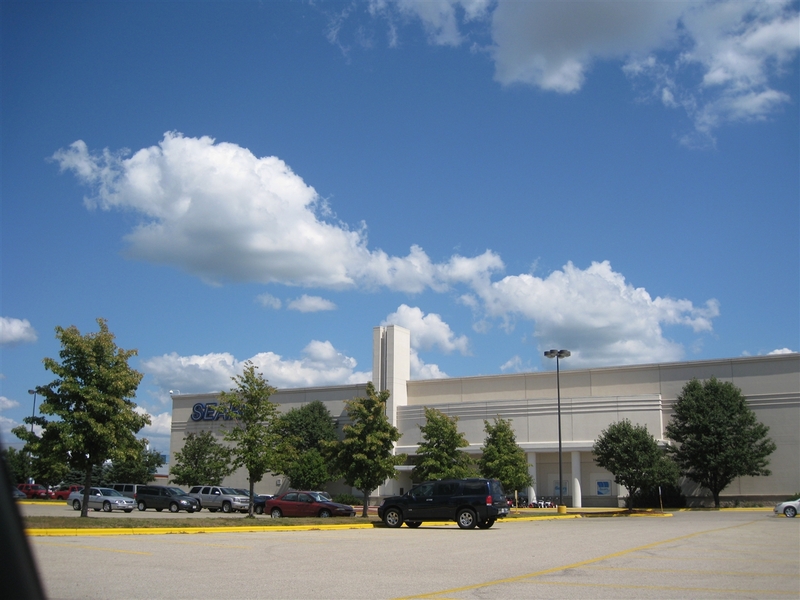 The biggest boon to the late 90s resurgence of Janesville Mall was the addition of a two-level, 110,000 square-foot Sears as the fourth anchor store, which opened in late 1997 amid a mild controversy pitting Janesville and Beloit as rivals. The opening of Sears came about in 1996 as the Beloit Mall, some 15 miles south of Janesville, was experiencing difficulties of its own, due to a less wealthy economic base, smaller and less modern-feeling mall structure, and weird location in between heavy industrial buildings and small, older single family homes. However, the Sears in Beloit was one of the only businesses in the mall doing well, and had room for growth in its cramped location. It was then when Janesville Mall developers approached Sears and asked them to jump ship and leave Beloit Mall to open a brand new store at the Janesville Mall. So, despite a fierce letter-writing and petition campaign to keep the store in Beloit, Sears did leave Beloit and moved 15 miles north to a bigger, brand new store in a mall with better potential on the county’s best retail strip. As soon as Sears opened, national chains that previously avoided Janesville suddenly clamored to open at the mall, and stores like American Eagle, Victoria’s Secret, Gymboree, and The Buckle soon followed suit. 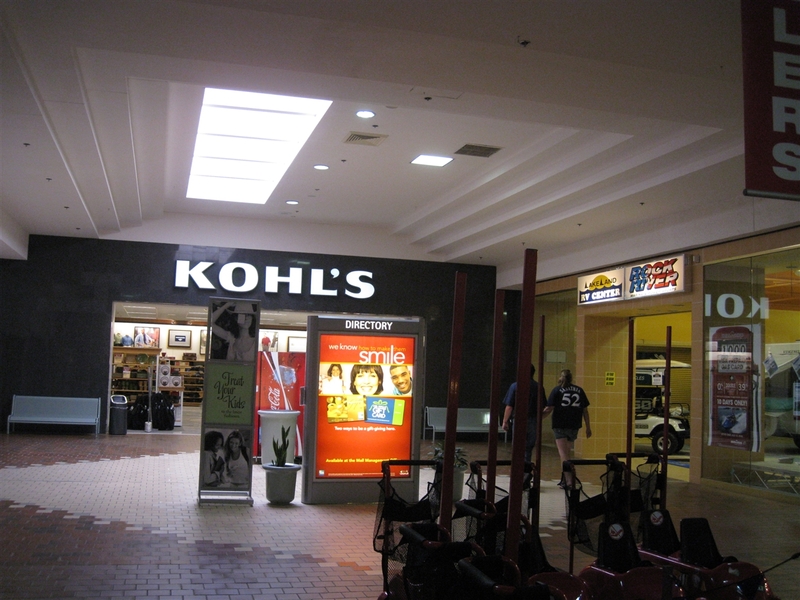 In 1998, Kohl’s renovated and expanded its store for the first time since it opened in the mid 1980s, annexing the Blockbuster Video/former Montgomery Ward Auto Center and several adjacent in-line stores in the mall. The entrance to Kohl’s was also moved to the corner of its store where it is more visible and accessible from the parking lot. 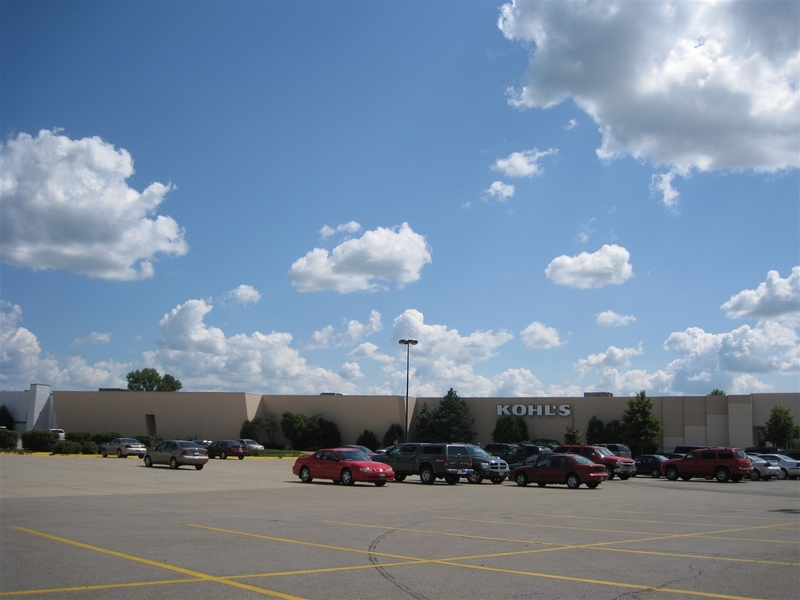 It was rumored Kohl’s threatened to leave the mall and build a standalone store elsewhere in Janesville if the conditions for its expansion were not met. Blockbuster moved to a new standalone building in the mall’s parking lot, becoming the first and only parcel in the mall’s outlot. The mall was also minorly renovated during this time, removing what little character it had by taking away all the fig trees and revamping the center court area’s stage to a flat, tiled surface in order to fit a sea of kiosks in. Today, the entire mall corridor is one kiosk after another with almost no space in between them. Suddenly Janesville Mall became viable again due in large part to the reinvestment by Sears, making it the county’s top retail destination after a few sketchy years. 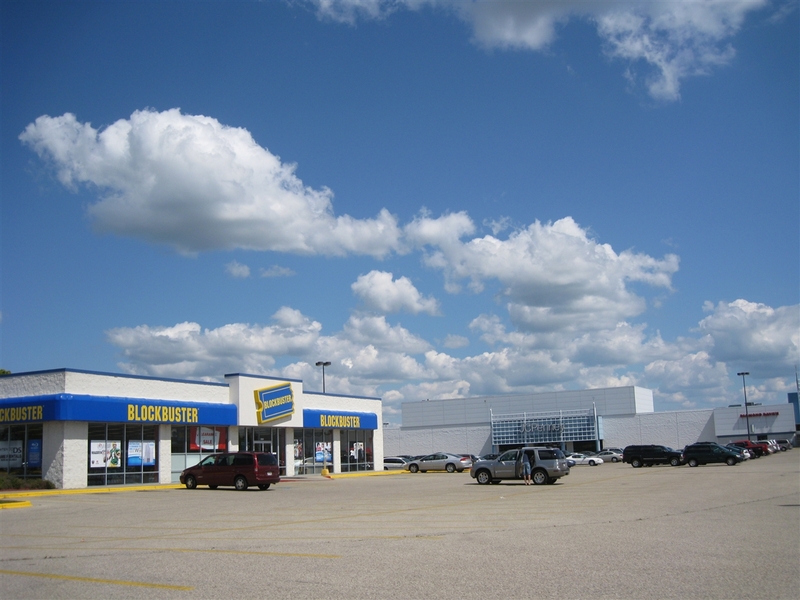 1998 also saw the opening of the largest shopping center in Janesville since the mall debuted in 1973, introducing many national chain box retailers to town. Called Pine Tree Plaza, this 400,000 square foot behemoth box center and strip mall, complete with outlots, redefined shopping in Janesville and for the first time a shopping trip out of town wasn’t as necessary. 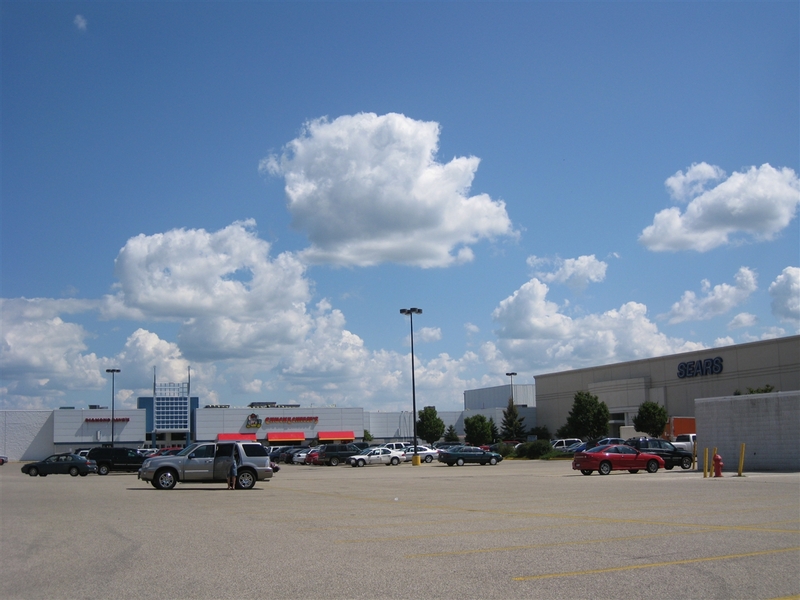 Included in Pine Tree Plaza’s debut were Wisconsin’s first Home Depot as well as Movies 10, Gander Mountain, TJMaxx, Staples, Shoe Carnival (closed and replaced by Famous Footwear in 2004), Old Navy, Petco and Michaels, with space for several small in-line stores and restaurants and outlots as well. 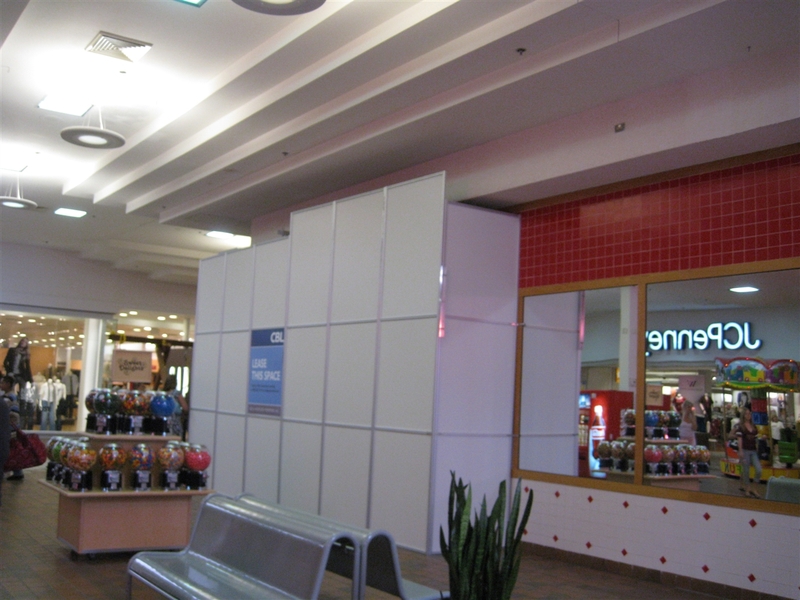 As a result of the movie theatre opening, the small, dirty 3-screen cinemas in the Janesville Mall closed and was replaced by a Chuck E. Cheese franchise. Pine Tree Plaza and its outlots have grown even more popular since, with the addition of Starbucks, IHOP, Best Buy, Cold Stone Creamery and Pier One Imports. The new millenium ushered in continued growth and prosperity for Janesville Mall, as more national chains appeared and the mall reached capacity for the first time since the 1980s. 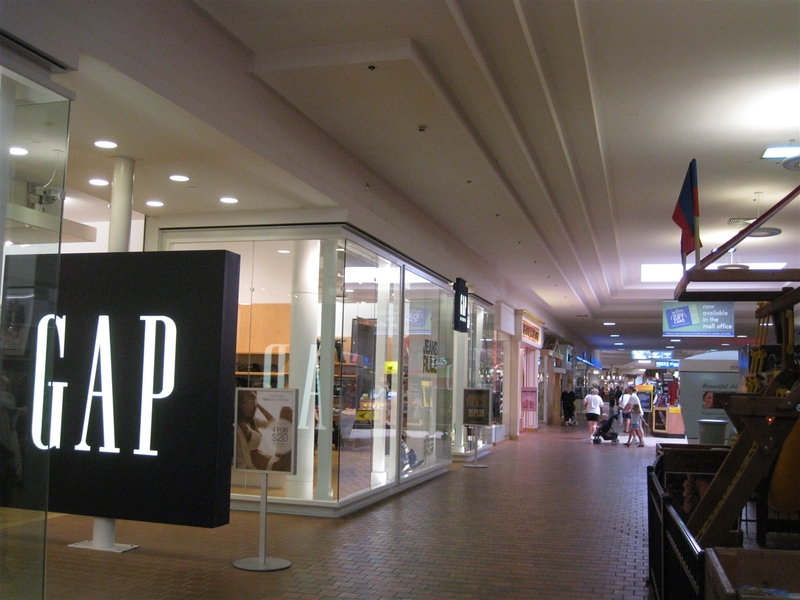 It was considered to be big news for the mall when Gap opened a 10,000 square-foot location in 2000, followed by stores like Aeropostale, Vanity, Pac Sun, and CJ Banks. 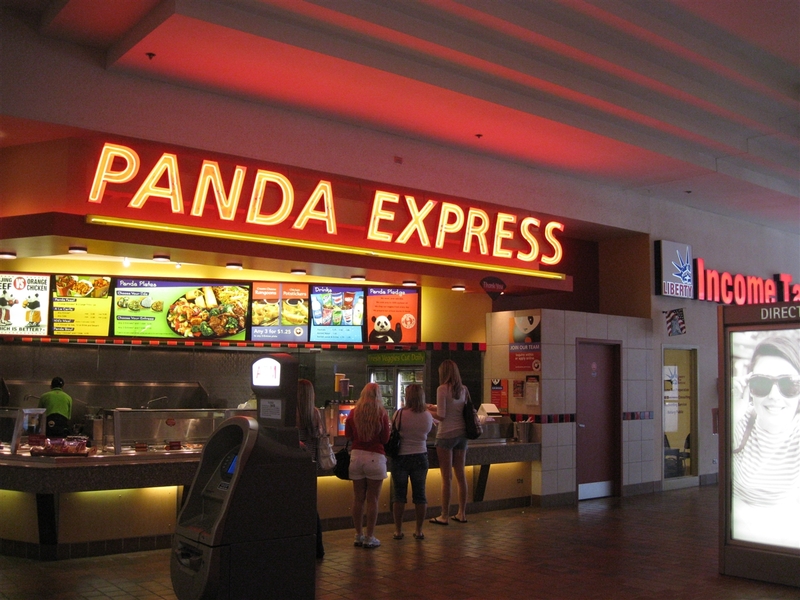 A semblance of a food court even appeared at Janesville Mall in the early 2000s, taking shape with a Sbarro, McSnack (an experimental limited-menu McDonalds which has since closed), Panda Express, Orange Julius, and recent-addition Kobe Japanese. Many people, especially kids growing up in Janesville, noted the absence of a food court as another reason to mock and ridicule the mall’s lack of ‘legitimacy’ – and now the mall officially recognizes this area as a food court, even though it’s really just a concentration of food stalls along the main concourse near the Kohl’s end, with tables and chairs set out. Prior to the food court, the mall’s meager food options were long-time tenant Diamond Dave’s, a decent sit-down Mexican restaurant, a cookie place (now closed), Hot Sam (also closed), Karmelkorn/Corn Crib (recently closed), Cream City Cafe inside Boston Store (closed), Mother’s Ice Cream (now Panda Express), A&W Hot Dogs and More (now Orange Julius), and long, long ago there was a restaurant inside Montgomery Ward which is obviously closed. In addition, for many years a full-sized regular food court was rumored for the vacant space in between Sears/The Buckle and the former cinemas, but this never came to fruition and since then the space has been occupied by Chuck E. Cheese. It should also be noted that a Regis Salon and a nail place are both in/near the “food court” area, which is at least moderately offensive to the olfactory. Today, the 600,000 square-foot Janesville Mall continues to thrive and attract popular mid-tier national chain offerings; most recently, Limited’s Justice brand as well as a Journeys have opened in the mall. The mall is limited moreso by space than by interested chains, which was not the case 15 years ago. Furthermore, most of the recent closings are due to corporate restructuring rather than sales at this specific location, such as the closure of both Sam Goody and Suncoast Video in 2006. In fact, the mall may have even become too big for its britches as many of the smaller, local retailers and service-oriented things appear to have opted to relocate outside the mall due to ever-increasing rents. In addition, retail in and around Janesville continues to grow and change. The most recent changes have been the addition of a new Mega Menards, a new Super Wal-Mart, and a brand new Sam’s Club, all of which opened in 2007 and 2008. Replacing the old Wal-Mart was to be a Borders, Hobby Lobby, and Dollar Tree, but unfortunately Borders backed out and it’s currently Hobby Lobby, Dollar Tree, and a temporary Halloween Express store. Kind of sad, but nonetheless not shocking in the least. It is yet to be announced what will replace the old Menards, which has an excellent location yet less-than-stellar, squirrely access to the major arterials. Another problem I’ve seen along the Milton Ave/Hwy 26 strip in Janesville recently are the numerous “instant cash” quick-loan places, which appear to be present in Janesville moreso than I’ve seen anywhere else on earth. Awesome. The Janesville Mall will continue to be a viable place as long as the local economy can support it, which actually wasn’t in question until very recently, when it was announced the lifeblood of Janesville, General Motors, was closing the factory it had operated for almost 90 years sometime before 2010. So, I guess we’ll watch what happens. The pictures featured here were taken in March 2001 and July 2008. Not much really changed between these years, but they’re there anyway. As always, feel free to leave your comments and your own experiences with Janesville Mall here. 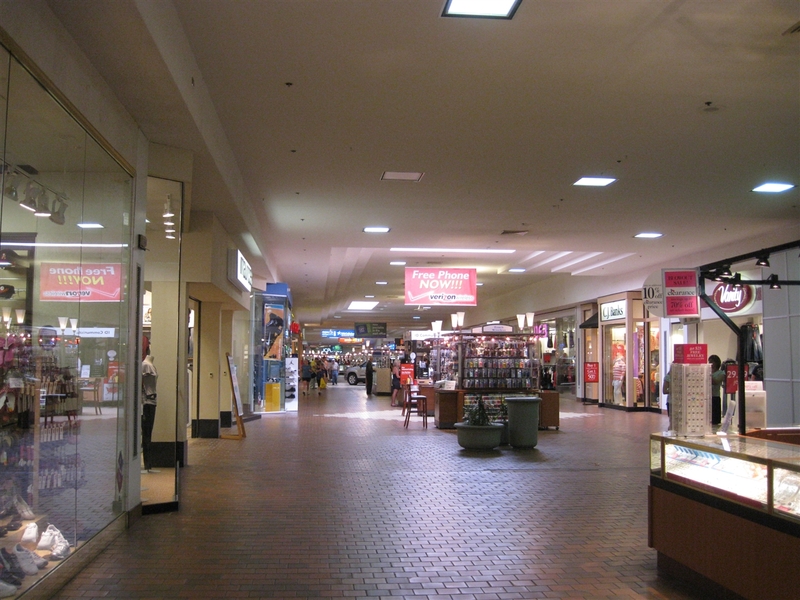 And, most importantly, this is the mall I grew up going to the most, so I’d love to have some vintage pictures. Even pre-2000 pictures would be great. Feel free to contact me directly at any time if you want to send me stuff. Wow, thanks for all the insight into your hometown. It must be interesting to see how a local mall grows, then shrinks, and then grows again. I think when the GM plant closes then this mall will definitely be in trouble. If the town does’nt see any new large-scale businesses more in then either the mall will bleed out it’s national chain stores and be filled again with local shops, or the mall will die altogether and be gutted into a strip mall. It’s a story that’s nothing new for malls that lose their economic base. Just stumbled on this site, and surprisingly, this mall actually survived the loss of the plant quite well. There have been a couple store rotations, but the large stores such as kohls, sears, penneys, etc are all going apparently strong. the non-stop crappy product kiosks could go tho, still not a fan of those. An RV dealership? Wow, that’s not too good. And I heard Limited Too is converting all stores to Justice. Also, I think its interesting how this mall slowly rose and shrunk over the years, and fig trees…mmm…that sounds tasty. The RV dealership appears to be some sort of temporary reuse of the old Sam Goody which closed in 2006, with Suncoast. FYE took the old Suncoast because it was a better location, and the Sam Goody gets to be an RV showcase. I hope they can find better use for it, it’s right next to Kohl’s anyway? Now as a companion article, might we expect to see something on Beloit Mall? Having never seen the inside (other than peering in through the doors), I’d be thrilled to see some pictures. another great post, prangeway. i wish there was a mall in palmer park…. sigh. Prangeway, both our hometowns have many things in common. Including how our malls seemed to evolve over the years, dip a bit in the 1990s, then resurge once again after the addition of Sears. I’m from the Fond Du Lac area, whose Forest Mall also started with a lone department store (In our case, H.C. Prange Co), and still boasting a successful Sears and Penney’s downtown. 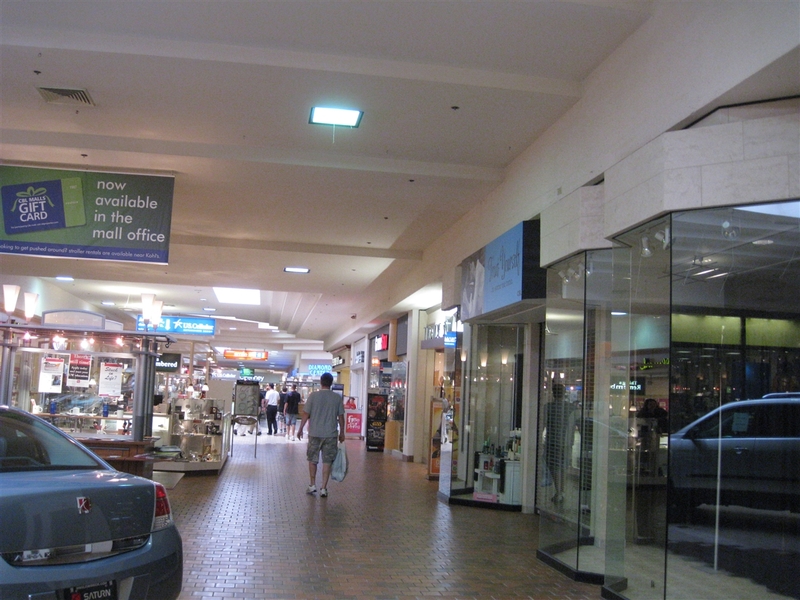 Both malls started as envisions of strip centers, evolving into enclosed malls. 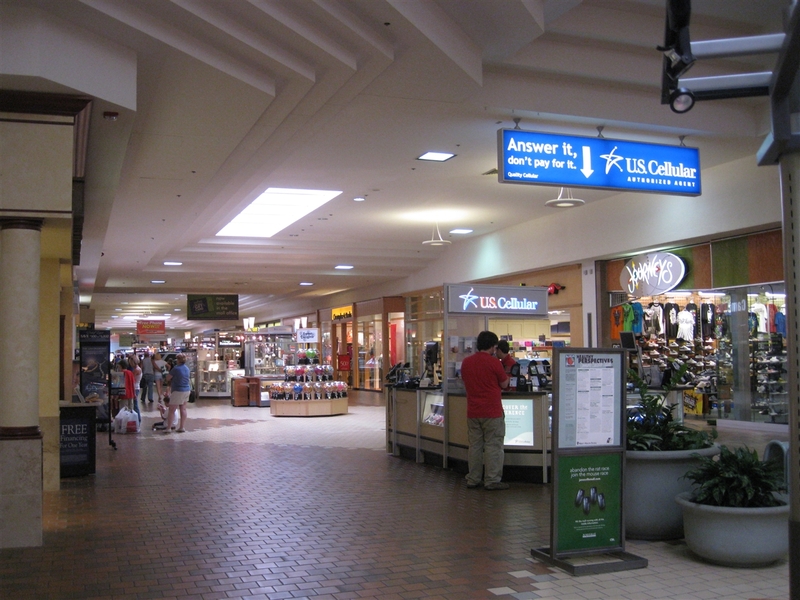 Both Forest and Janesville malls were devised by local businessmen. (In my town’s case, it was the owner of a women’s clothing shop that was downtown. 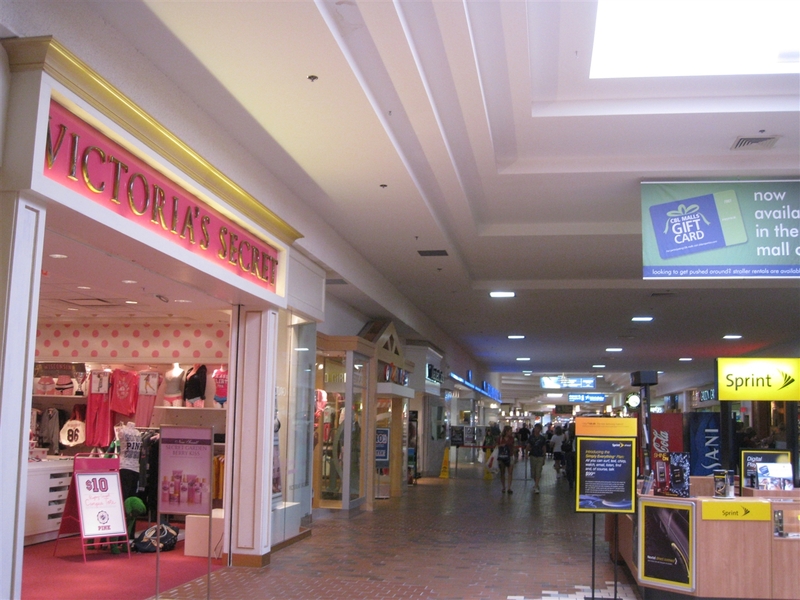 He also wound up opening a location of his shop in the mall….one of its first inline tenants). Both cities have experienced ebb and flow in their industrial base. For us, it’s Mercury Marine who’s been experiencing some trouble recently, and has been part of our community for many many years….about as long as GM is to Janesville. Both malls opened in 1973, and got their first renovations in the mid 1980s. Heck the architecture in your 2001 photoset for Janesville Mall (which I assume to be from the 1980s remodel) looks EXACTLY like how Forest Mall looked prior to their 1998 remodel (a full top-to-bottom renovation…not just new floor tiling and lighting like in your 2008 set) , of which I got to watch. I went to the mall every week, once a week for the entire duration…really a fascinating sight to see such a transformation. If not for my mall’s heavy (for a small town / mall) security presence (Always a security guard or two wandering about, plus another driving around the mall parking lot outside), I would have gotten a photo set myself of this remodel…(Before, during, and after). Geeze, even right down to getting a Kohl’s the SAME year, 1985, and both in former Wards anchors to boot! We also started with smaller malls of some sort. 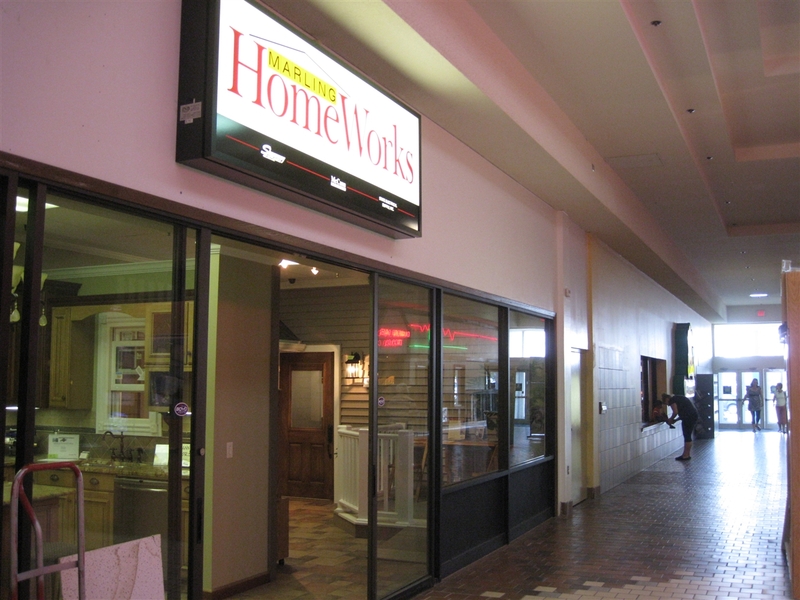 The only difference is you didn’t wind up with Prange Way as a standalone box or anchor to any strip / enclosed mall. They only got down to Madison. Lake Geneva to the east also gained one after their Copps closed. For the record and the unknowing, that chain was Wisconsin-only, based out of Stevens Point. Walmart only ‘perfected’ the Supercenter concept. Copps (among others, such as Meijer in the Michigan state area), were the first to get the ball rolling. It failed because it was too ‘ahead of its time’, and Copps never ran the discount departments themselves……they leased out departments. ie: Melville Corp (Thom McAn) – shoes, toys, etc, Hallmark – Cards, stationary, and so on….you get the idea. They charged ridiculous rents to thse leasees, thus those costs were passed onto the customer, making Copps rather expensive compared to the likes of others like K-mart, Prange Way, or ShopKo. Anyways, back on THIS mall….I’m not sure what I could add to the entry. I mean, our cities’ stories are nearly parallel with each other. Thanks for sharing with us your childhood haunt and hometown’s foray into all that was ‘the rage’ back in the 1970s…the enclosed mall. Really dark and gloomy? Check. What are the odds this is another former Jacobs group mall? Jacobs mall it was. 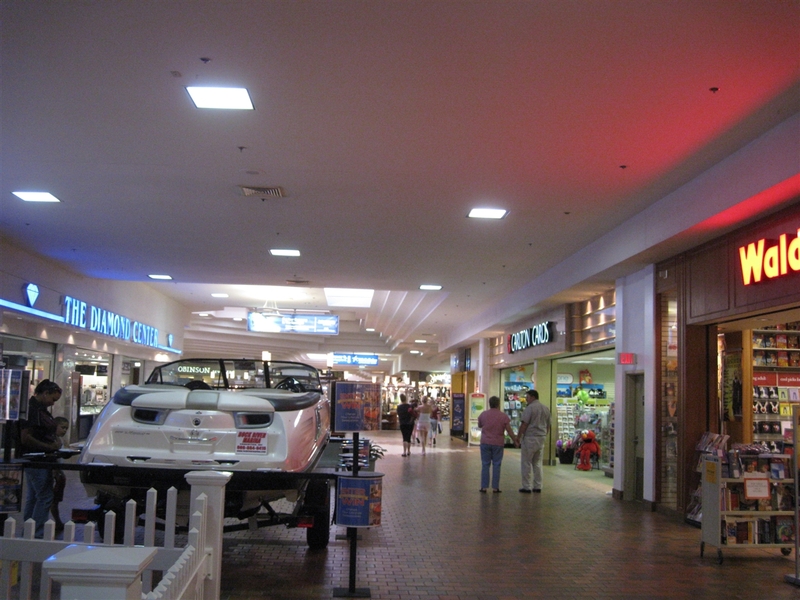 Though the square lights were actually quite a common fixture in malls from the late 1960s on through the 1980s. Usually used in regional malls like this. You didn’t see anything fancier than mecury-vapor, fluorescent or halogen in shopping mall lighting unless you went to the super-regional giants like the Taubman properties. The thing that’s making this mall seem dark in the older photo set is the dark tiling though. Terra-cotta shades…..they were a HUGE thing back in the late 1970s up through mid 1980s, before they went to ‘pastel’ / ‘coral’ shades in the later half of the decade. Really, it’s ‘generic mall architecture’ through-and-through. 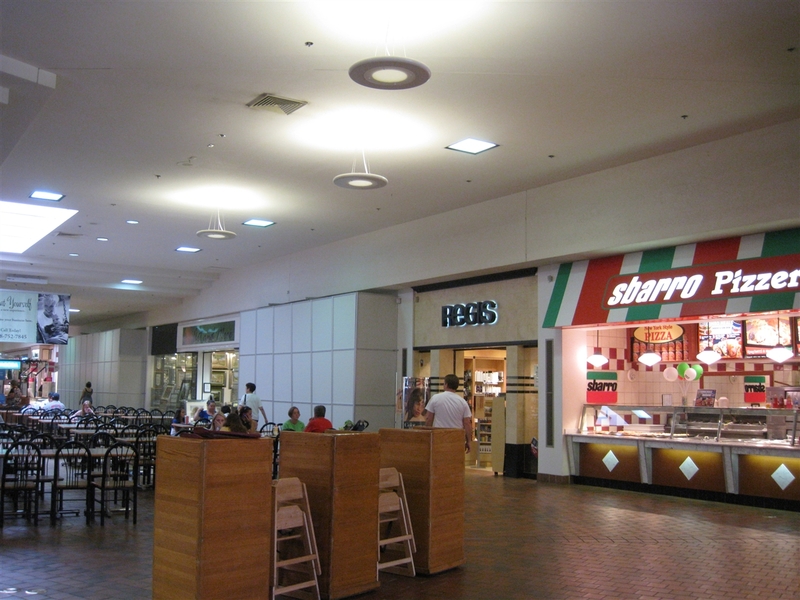 Forest Mall, which I mentioned in my above commentary, Machesney Park in Rockford IL, Lakeshore Mall in Manitowoc…..same deal, same floortile shades and light fixtures. I’m sure before the 1980s remodel, the mall was more dark and more gloomy. I wonder if that Diamond Dave’s is still around. They really retrenched during the 1990s. I can’t think of too many smaller malls in this state that did NOT have one of them. Oh and for the record, my mall finally got that staple of mall beverages with an Orange Julius location. Karmelkorn (which you mentioned in your post, Prangeway) is also owned by the same corporate entity (Dairy Queen), but that chain has really retreated the past decade to all but the most profitable locations. Not that I’d eat any other kind of popcorn but regular (with loads of butter) anyhow. That’s really interesting about the similarities between Janesville Mall and Forest Mall in Fond du Lac. I had never really compared them specifically, but you’re totally right. I have a few picture sets from Forest Mall, but nothing before 2001. 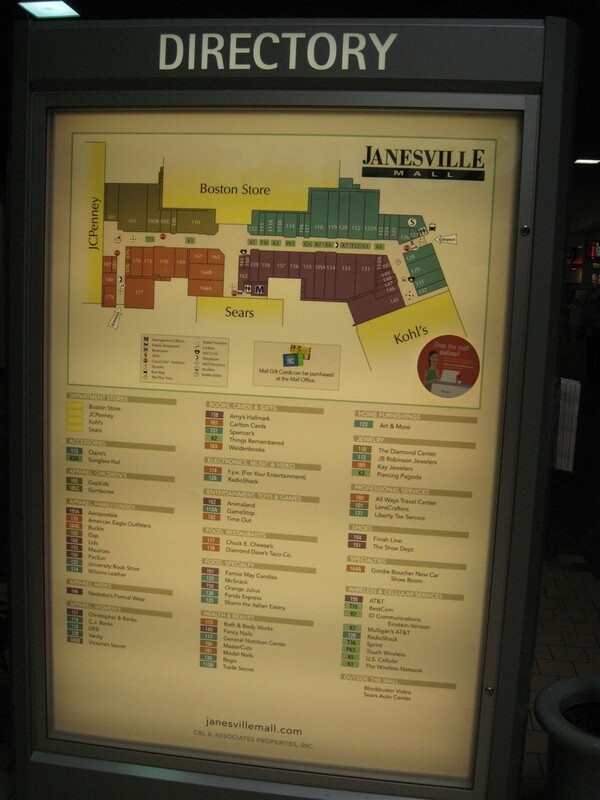 Janesville Mall was a Jacobs mall, along with East and West Townes in Madison, Cherryvale in Rockford, and Brookfield Square near Milwaukee. Perhaps that explains why the mall has always been so dark inside, if it’s a trend for Jacobs malls. That’s actually always been one of my bigger complaints, that there’s really no natural light at all inside the mall and the dark flooring/lighting scheme doesn’t help this at all. The place would instantly feel more modern, brighter, and livelier if they cut a bunch of huge holes in the roof to bring in natural light. Might be a maintenance nightmare too, though, considering the climate in Wisconsin. The Karmelkorn here closed quite a while ago, probably sometime in the late 90s, and immediately reopened as The Corn Crib, which was the exact same thing only without the franchise fee to Dairy Queen I’m guessing? The Corn Crib closed pretty recently though. They probably couldn’t afford the skyrocketing rent now that every national mall chain wants in. The only other one I can think of in the area was a combination Karmelkorn/Dairy Queen in the Cherryvale Mall in Rockford which (according to the directory online) has also closed. 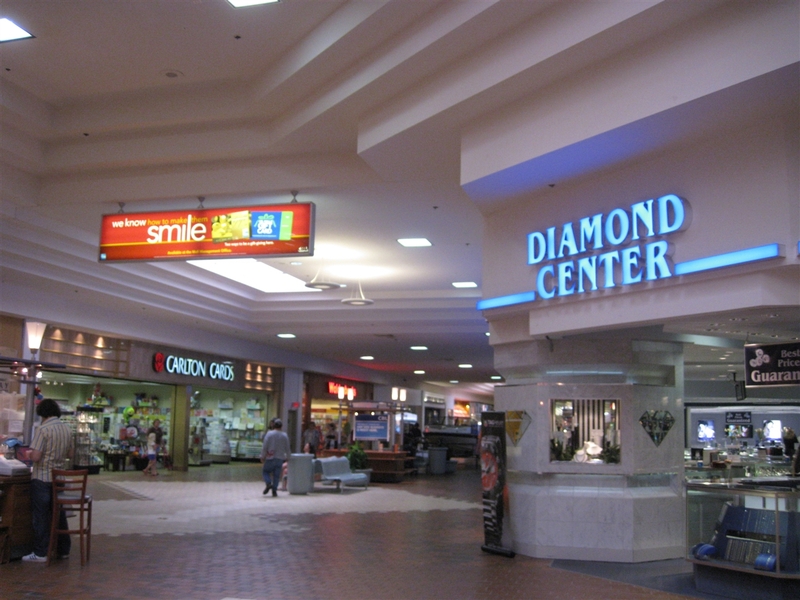 I remember when Diamond Dave’s used to occupy inline mall space near center court. I think it was actually between center court and Waldenbooks, where the Carlton Cards is now. It had this really dark wooden facade and little windows cut out so certain lucky diners could see into the mall. That closed sometime in the early 90s, though, and they moved to where they are now, on the side wing near the north mall entrance and JCPenney. Diamond Dave’s is still open and does quite well from what I’ve heard. According to teh internets, there are 5 remaining DD’s in WI: Sheboygan (in the mall), Wausau (in the mall), Merrill (what? ), Green Bay, and Janesville Mall. There are actually many more locations overall than I thought there were, and it looks like the chain comes from Iowa? I haven’t been there in years but it’s pretty decent from what I recall; however, due to the relatively large number of ethnic Mexicans in the Janesville area, there are much better non-chain options to be had. And looking at their online menu, they have a ton of non-Mexican/Tex-Mex options, which is kind of weird. 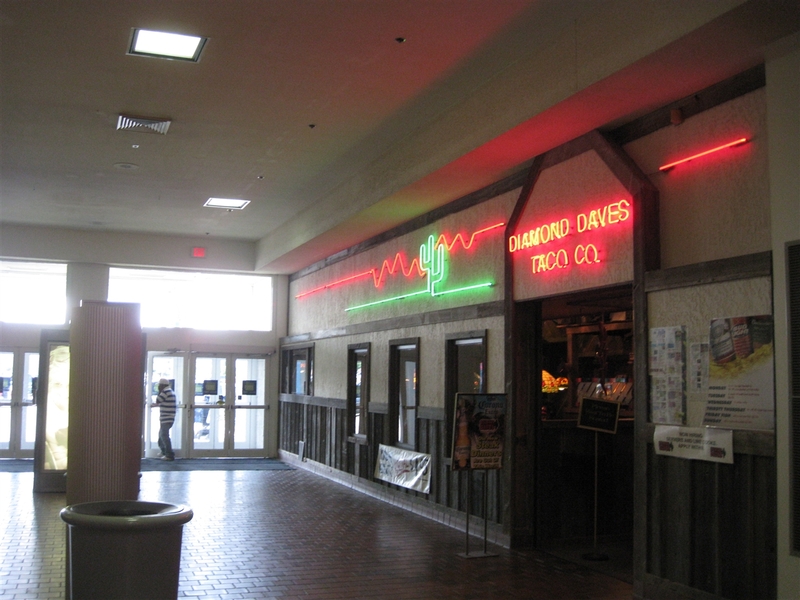 The Diamond Dave’s in downtown Green Bay’s Port Plaza Mall closed in 2004. Silly midwestern taco chains, offering so much more than tacos. Del Taco does the same thing; they offer BURGERS, for crying out loud. Del Taco is consistently disappointing, too. One just opened recently in Janesville, about 1/2 a mile from the mall in front of the new Mega Menards. Maybe I’m just kind of over fast food in general, but I got a quesadilla there and it came out congealed and cold. Another time I tried a taco or burrito or something and it was equally disappointing. They also screwed up the order. Even taco bell is better than this place, but if you want legitimate Mexican in Janesville head to El Jardin across town. Somebody open a freaking Chick-Fil-A in Michigan already. We’re finally getting Sonic Drive-Ins, why not? Thank you for the great history of the mall, I lived in Madison, and would visit the mall infrequently. I remember there was a snack bar called Orange Bowl with pizza and soft servce. Also, the mall had a Bishops Buffet, which was good food served cafeteria style. I remember the Boston Store had a snack bar as well. Thanks for all the good memories. Glad to hear the mall is still going strong. I was there this past summer and noticed the space that used to be the movies is still vacant. I remember going to the movies there. Jim, I thought the movie theater became Chuck E. Cheese’s? I meant to reply sooner to you, Prange Way. You say you have a photoset for Forest Mall, and I’ve mentioned the place constantly here at Labelscar. I think it’s time I get on the ball with that one. While it’s not a dead mall, it’s had its ups and downs through its 41-year history, a history which I know inside and out. It’s because I have friends / family in the area who recall the early years when it was just the Prange’s / Prange Way boxes in the late 1960s, and the construction of the mall itself beginning in late 1971 (was supposed to start in 1968 with a 1970 opening, but multiple things kept the project from getting underway). I even know the person who headed oversight of the construction…a local construction company built the mall and its anchors, plus I’ve been visiting the place since I was a toddler (yeah, that long). 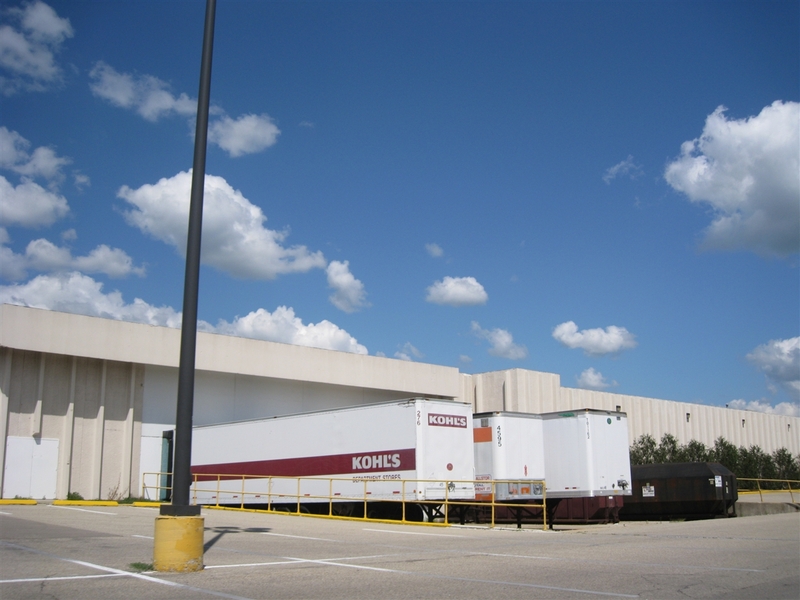 Most regional malls like it and Janesville Mall, both being relatively the same size (GLA), are a dying beast, being replaced by big boxes, or just being de-malled, leaving the anchors intact. 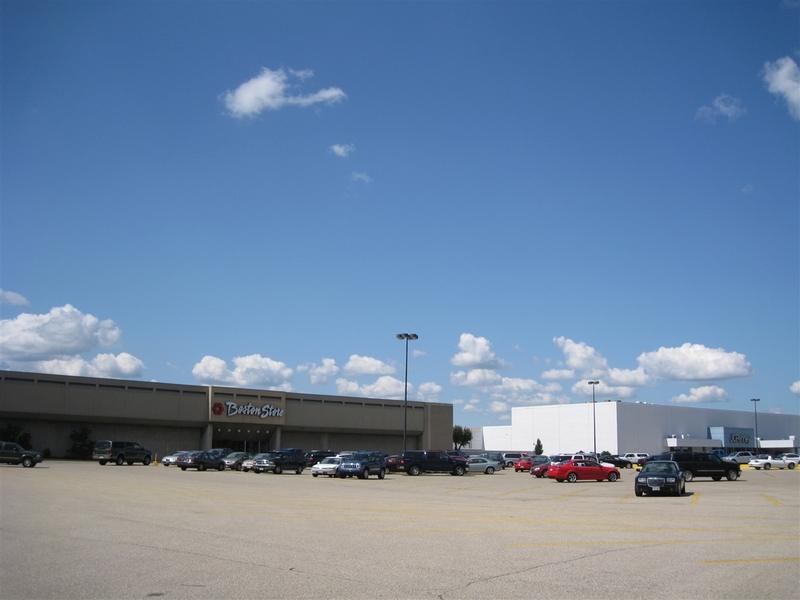 At the time of Forest Mall’s opening, it, along with Oshkosh’s downtown Park Plaza, was easily one of the biggest enclosed malls in the East-Central region of Wisconsin, at which time only had Mid-Cities (Manitowoc), Memorial (Sheboygan), and the now-demolished Valley Fair (Appleton). Just for its longevity, it’s deserving of an entry. I’ll type up and submit a history and its current status as of now soon. 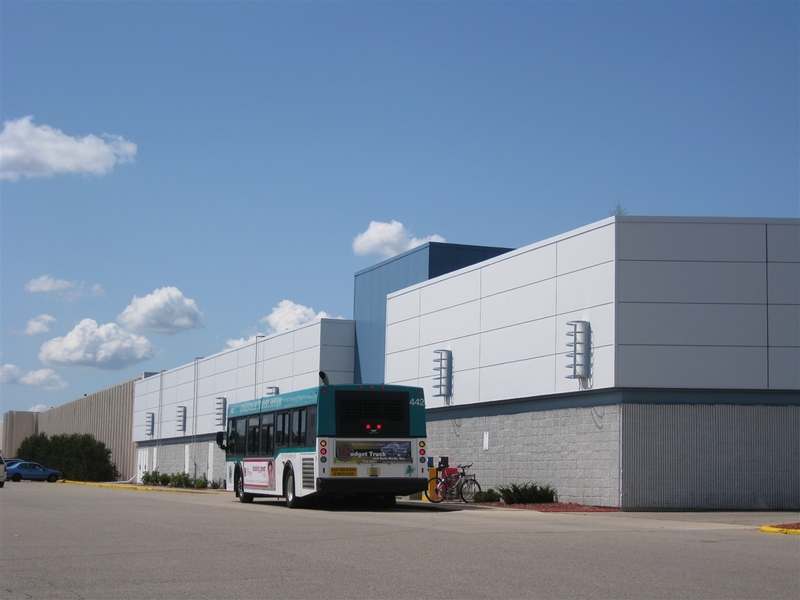 Speaking of both Prange’s and Matt’s posts about other east-central WI malls, the history of other malls in east-central Wisconsin is fascinating to me for whatever reason. 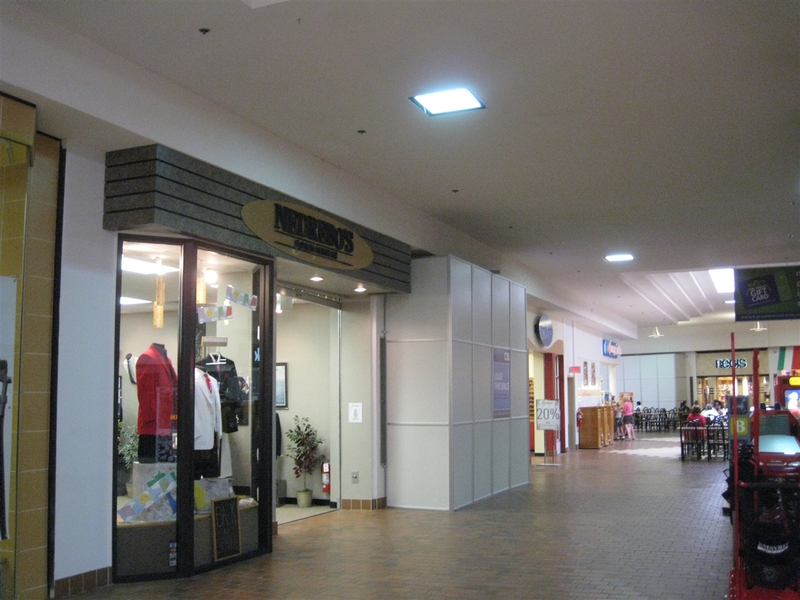 Did Jacobs build Regency Mall in Racine, along with other malls in southern Wisconsin(i.e. Janesville, West Towne, etc.)? I’m definitely aware too that the GM plant recently closed last month, so it’d be interesting if anyone could recall the past history of any malls in other industrial areas/cities of the country, and if those malls bounced back after a respective factory/plant/etc. closed. 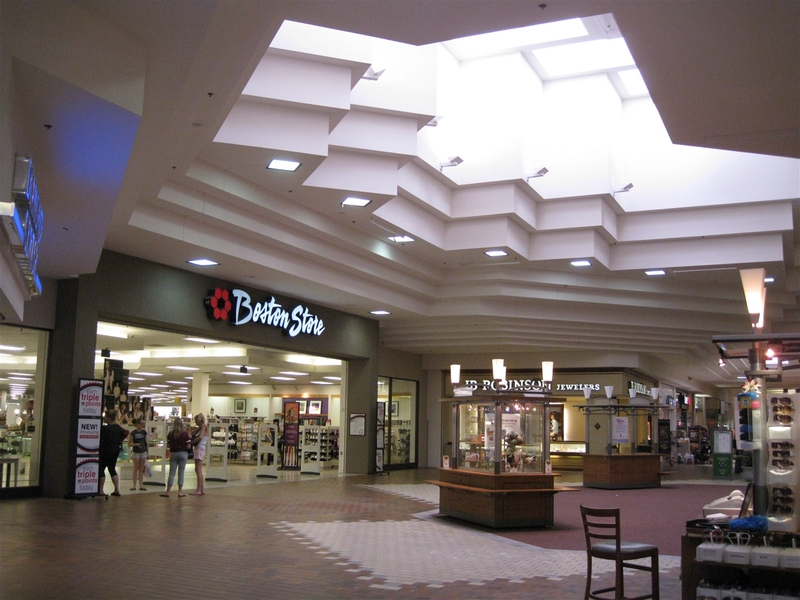 And since I originally thought I had written a past comment specifically relating to Janesville Mall(and now that I see I didn’t), I have to wonder if I’m not the only one who thinks whenever I see pics of the ceiling of this mall, that it looks Taubman-ish. I now live in Fond du Lac, and can attest to the similarities between the Forest Mall and the Janesville Mall. Although sadly, the Forest Mall has really not done so well…I rarely visit, except when I need something from Staples or Radio Shack. For a kid growing up in the 80’s, the Janesville Mall was fantastic…it was easy enough to get to on bike, you could easily kill all day (before hitting the Sk8tin’ Place at night!). Hit the arcade, grab a hot sam’s pretzel, check out the latest atari 2600 games at Kaybee, stop in at Walgreen’s to load up on candy before taking in a flick at the theatre, etc, etc, etc. My mother worked at the Amelia Ruzzo’s store (trendy clothing) that was just outside the Bergner’s store…so I got to know a lot of people that worked at the mall. On occasion, the owner of Diamond Dave’s would let me sit at the bar and have some nachos on the house. There was another restaurant that had a german beerhall vibe…great sandwiches and assorted fried items. While Forest Mall is kinda laying low right now, due to the economy and everything, it’s the one that’s doing the best out of all the malls in the general area. Sheboygan’s Memorial Mall is literally dead (there’s only 6 or some stores in the entire mall now), and all the other malls that were in the area (Beaver Dam, West Bend, and Oshkosh) have all gone belly up or demalled over the past decade. Jim (or anyone else) – was there actually a Walgreens in the mall? Or are you thinking of Thrift Drug, which was in the JCPenney wing across from Waldenbooks? 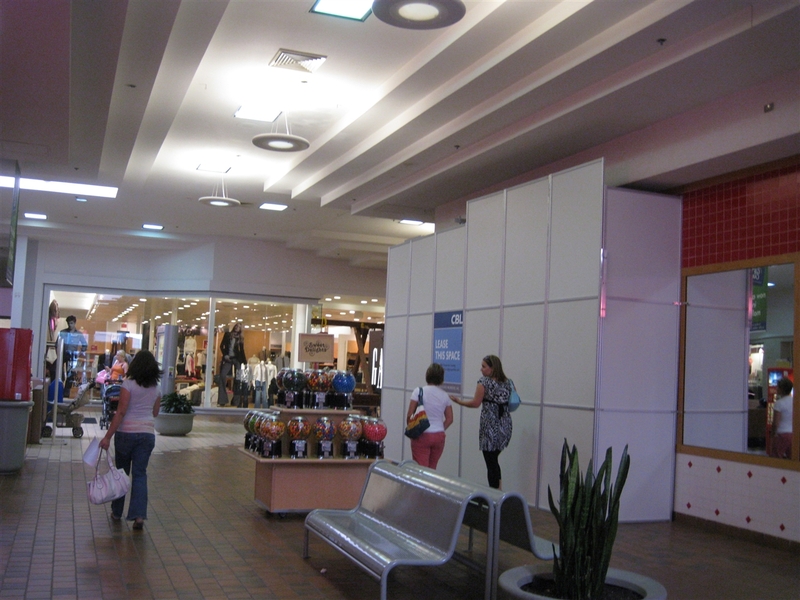 That place had huge windows that went up to the ceiling from the mall, and it closed in the mid 90s sometime. Yes, you’re right…I think it was a Thrift Drug…funny how I could picture a Walgreen’s sign for some reason. And yeah, Amelia Ruzzo’s had that funky floor layout…and it was definitely popular. Love the Sam Goody converted to an RV store. First, LOVE the in depth history you give in the article. Second, I disagree with saying Janesville is a “small city”, it is more of a medium city I would say. Third, regarding Sears moving to Janesville. I believe a long time ago Sears was somewhere downtown, than moved to Beloit, than moved back to Janesville. Fourth, you seem to imply a connection between Sears coming back to the mall & and other national retailers coming to the mall. While there is certainly some truth to that, I strongly disagree that is the MAIN reason the national retailers moved here. The obvious reason in my opinion is the 2000 Census data had recently been released and 60K population is probably the threshold needed for the national chains to come here, which means they would have come even if Sears didn’t come back. Fifth, regarding the late 80’s / early 90’s food scene at the mall. You seem to have forgot the biggest one of all, Bishop’s which was a small/medium midwestern? chain [know they had a location in Madison & some elsewhere] of “old world style” Cafeteria style dining with an all-you can eat option. Had dark wood, huge brass door handles, etc, low lighting and very good food. Believe it was around for quite a long time and in fact we tried to go there the day they suddenly closed. 🙁 At the time I would say it was probably one of the best restaurants in town and always seemed to be very popular. That location [probably just inside where sears is now] is where they proposed the food court that never happened. Sixth, thanks for the info about McSnack, I always kind of thought it was single store operation trying to piggyback on the McDonald’s name, never really considered that it was owned/operated by them!!! Seventh, you forgot to mention the 2 or 3 times the Diamond Center expanded, which took out a shoe store, hair salon [think it moved], and a Swiss Colony retail? outlet [that moved to a cart, than left]. Eighth, the Del Taco [Taco Bell style west-coast chain] restaurant that opened in middle of 2008 by the huge new Menards closed, probably within the last month or so. Ninth, there was a Steak N’Shake by the Pine Tree Plaza that probably only lasted a year [now Blackhawk Credit Union] probably in 2007/2008. Lastly, but certainly not least. GM CLOSED in the fall of 2008 I believe and we are just beginning to feel the repercussions in town I would say. Matt, Forest Mall has been dead for some time now. I know I sold there. And Ken, Janesville is a SMALL city. you never been to BIG city by the way you talk. Dave, you are right, Janesville is a relatively small city. I have lived and worked at two malls in Milwaukee (Mayfair Mall and Northridge Mall) While Mayfair is alive and growing, Northridge is dead and gone. You know, before this current recession, I could say Forest Mall was hanging on. Not so much anymore. The only reason some stores are still in there are due to lease terms….they’re stuck there until it’s up. Once they’re up, we already know what’ll happen. It’s played out time and again with many malls featured on this site. My area just got through a rough time with one of its biggest employers. Surely, if Mercury Marine had pulled out, Forest Mall would have died right on the spot because Simon would of sold it off just as they did Memorial Mall in Sheboygan. Even with Merc staying around, the mall interior will probably die off, albeit at a slower pace. Staples and the four major anchors can and do hold their own due to exterior access apart from the mall interior. I can’t speculate on what chain(s) will bow out next, but looking at national trends, something tells me PacSun isn’t long for my town (they keep changing up merchandise based on trends), nor is Waldenbooks (Borders is a failing chain…can’t compete with B&N and Amazon.com ), who’s been shutting stores left and right as their leases expire. Other malls in my general area (East-Central / Southeast WI) are already long gone, or they’re trending upscale to stay relevant. Our town just can’t, or won’t support the local mall any longer, and I don’t blame them. It’s all up to the owners of the mall, who also don’t seem to care….nevermind them charging ridiculous rent. You mentioned Bishops Cafe and made reference to “another location”. One of the other locations was in Fox River Mall in Appleton. It later became Furer’s Cafe, but had exactly the same food and decor. Only the signage changed. Then it apparently went out of business, and the location became a Pier One, of all things. The last time I visited Fox River Mall, the Pier One was gone. You are so right about Simon not caring about Forest Mall. That mall has never seen a renovation. One of the quirkiest things about Forest Mall is that Younkers (one of Bon Ton’s nameplates) occupies what used to be a Prange Way location. The facade with the fieldstone and familiar metal columns and arches above the doorways still remains. The mall itself has always had a very disjointed appearance, like it was “patched” together by connecting various structures. I wish Simon would invest in that mall, because I have always had a soft spot for Forest Mall. Actually, Younkers was once Pranges’ full-line department store. Prange WAY was Prange’s discount store format. The mall used to also have this as an anchor, which their spot since August 1997, has been occupied by Sears. I don’t know how long it’s been since you’ve been up to the area, but Forest Mall did see a full interior / exterior renovation in 1998. This was started after Sears opened up in Prange Way’s old space. 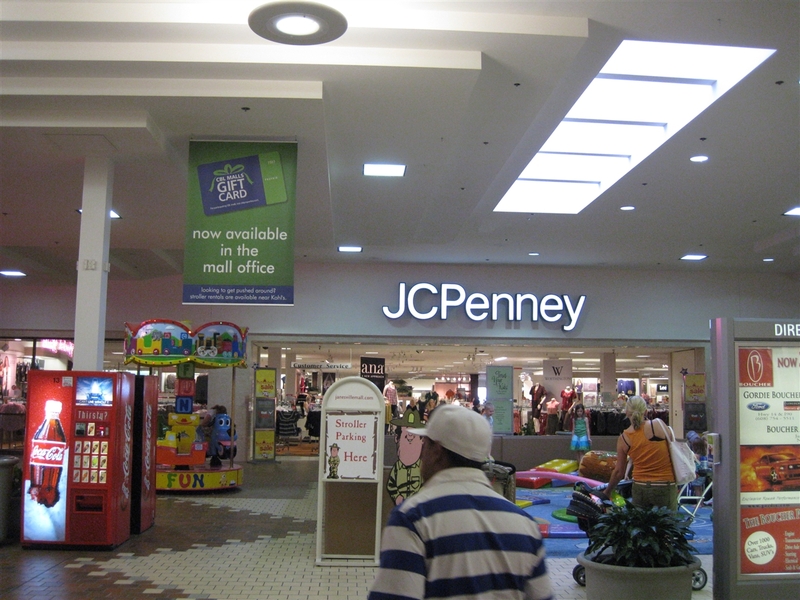 There was also renovations done to JCPenney and Younkers as well. The canopy over Younkers was made plainer to be honest…I liked the old way it was with the arches. Nowadays though, I feel it’s time that Bon-Ton do something with that store. It’s the oldest Younkers store in the state. Unfortunately we’re not in the right economy for a full remodel, nevermind knocking the building down and building new, either there, or somewhere else. you left out some other stores I used to enjoy there. good sandwitches and beer. Also Musicland. Bishops Buffet closed? They were kinda pricey. Don`t forget Aladins Castle . Played alot of pinball there. The Gap is closing in Janesville Mall. By the lack of merchandise in the store I’d say it will be closed by the end of January 2011. This will leave another big hole in the mall since the Sam Goody space hasnt been filled by a permanant tenant. I was just in the mall on Friday the 4th, The Gap is closed and now Deb is the the next store closing. There were no final dates posted but it looks like they will be gone within the next two weeks. Another blow to the mall, yet its not even close to becoming a dead mall.. yet. I realize the economy in Janesville isn’t as good as it was three years ago, but I wish CBL would put some money into this place and update it. Even a minor update would help, the place could use better lighting. The dark brick floor doesn’t help, but I don’t see that going away anytime soon. Kohl’s looks great after their remodel, now JCPenney just needs to get with it! @Jim, I hope CBL takes a proactive stance in retenanting these new vacancies along with the existing ones. Sprucing up the mall, which hasn’t received many updates since the early 90s, also wouldn’t hurt. Back in the mid-1990s I remember a period with a lot more vacancies at the mall, with many mom and pop stores and fewer popular national chains. Sears came in 1997, and with it came an influx of stores new to the market that people in Janesville previously had to drive to Madison or Rockford for. The market was a lot stronger, though, in the late 90s, both nationally and regionally, for what it’s worth. Perhaps more retail vacancies are inevitable for Janesville as both the local and national economy struggle. The old Menards sits vacant, former restaurants are either abandoned like Del Taco or never materialize like Golden Corral, a largescale bookstore (it was either Borders or Barnes and Noble) never materialized for the old Wal-Mart site, and Milton Avenue is littered with trashy, lecherous quick-loan stores that only serve harm. At least it’s not Beloit, I guess. Not yet, anyway. One only needs to look down the road at Beloit to see what happens when most of the industry leaves a blue collar town. Yeah, I’ve lived in Janesville since 1992, and Beloit before that, and I remember all the non-national stores that were there. It was huge news when Sears decided to relocate from Beloit to Janesville, big plus for the mall. I agree that CBL shouldn’t just sit on these empty stores, and find someting to fill them with. I can also see the return of local places eventually if they can’t get anything national. There’s already a oriental masage place (can’t think of the name off hand) and then there’s the Gordie Showroom. The vacant Menards sits on what I would consider prime land with excellent visibility to the Interstate, the lands only draw-back that I can see is the access to it could be slightly better. I wonder if the DOT is possibly looking at some of that land when they expand the Interstate, they could reconfigure the Hwy 14 interchange. Rumor around town it was Borders that was to move into the old Wal-Mart, but IIRC they pulled out before GM even closed. Janesville may not be beloit, but it appears it could be heading in that direction, within the next decade, if the city just sits and does nothing. At least beloit is trying to clean up their city. 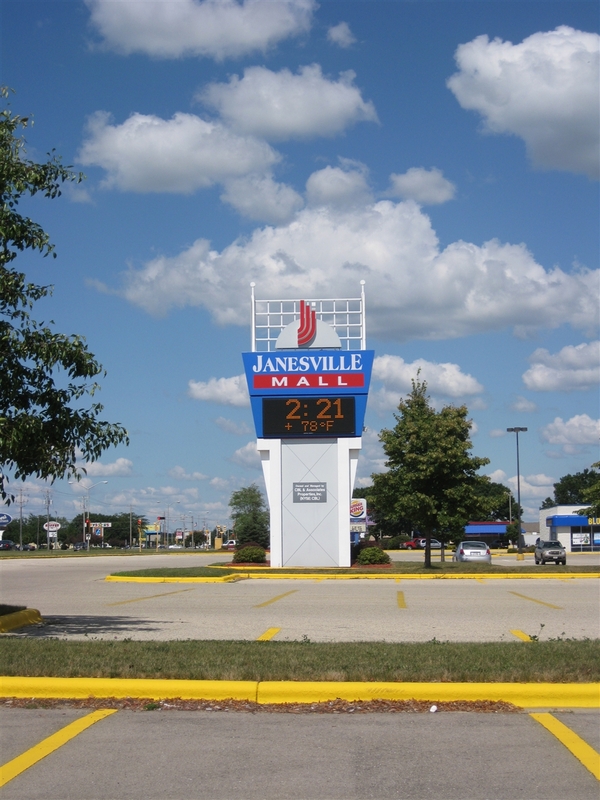 I used to go the Janesville mall all the time as a kid…too bad it’s not what it once was.